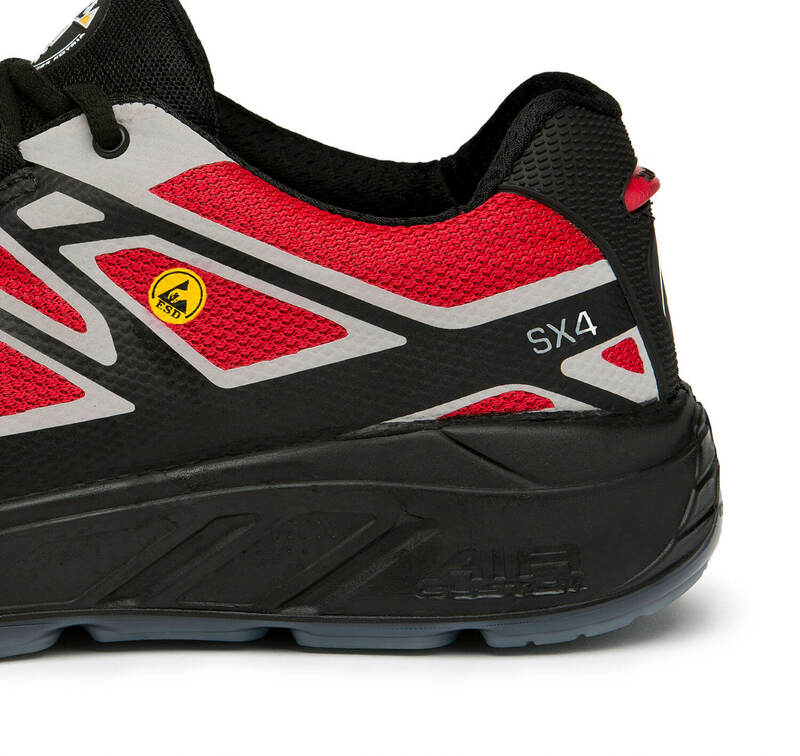 SX4 safety shoes form part of our S-SERIES line – a sporty collection, characterized by innovative safety features and manufactured using highly advanced technologies. This shoe line guarantees your safety and comfort all day long and lets you focus 100% on your work. The Tech-FiberTM anti-penetration layer prevents injuries if being in contact with nails or other sharp or dangerous objects. The AIR-SYSTEM midsole provides shock absorption throughout the sole to assist with the prevention of back and knee problems. The transparent TPU outsole is truly durable, slip resistant and great-looking and is an ideal choice of safety footwear for anyone looking to avoid leaving black marks on flooring. The SX4 is fitted with a negative energy absorbing, highly breathable insole that supports your natural movements and helps transport moisture away from the base of your feet. 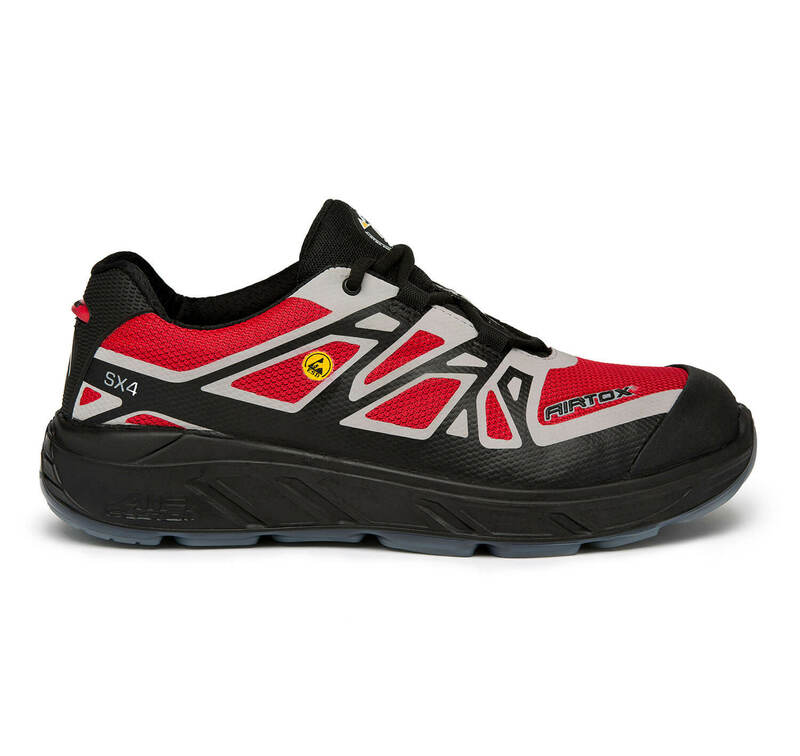 The upper of the SX4 safety shoe is made with breathable CORDURA textile leaving your feet feeling ventilated and fresh. 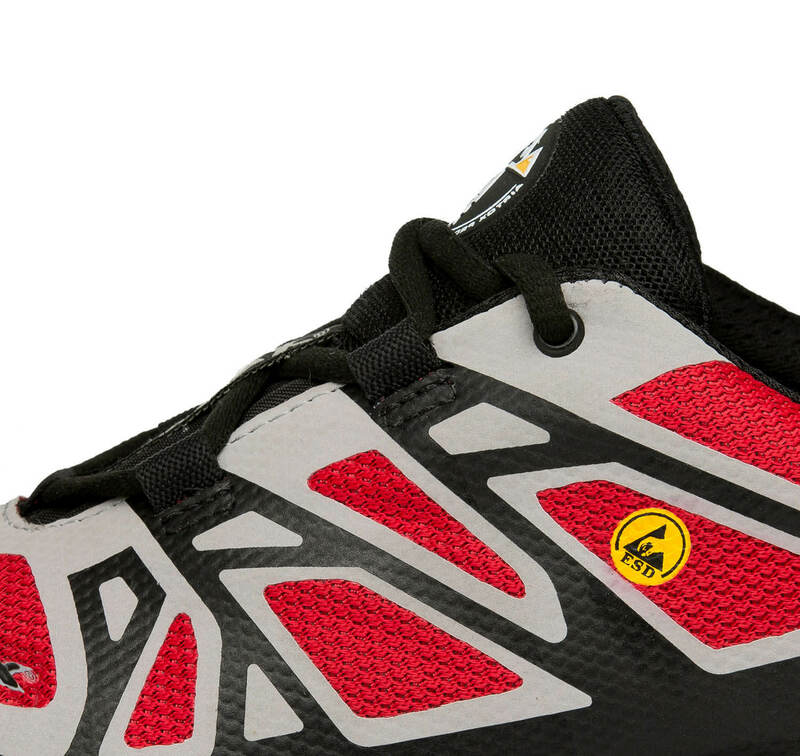 An important feature of the SX4 safety shoe is our Superlite NEO-Steel TM toe cap and coating with rubber skin on top. 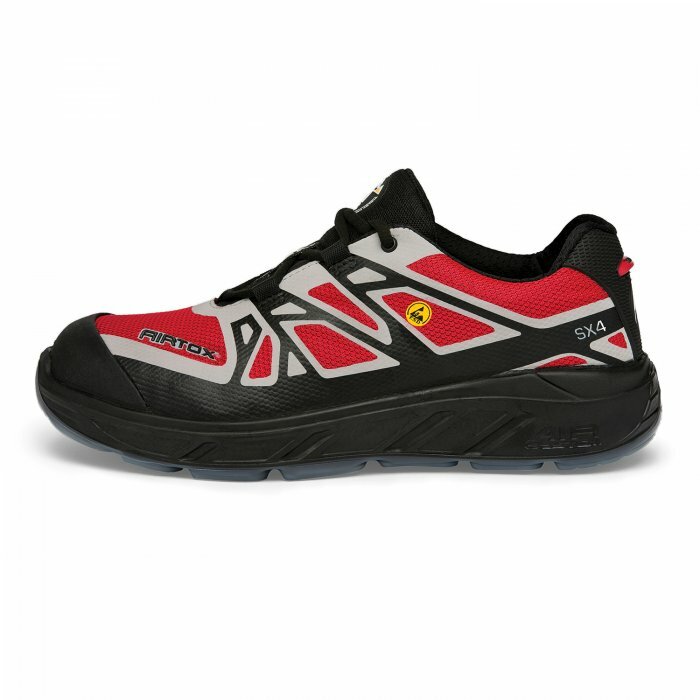 This Superlite NEO-SteelTM toe cap provides essential protection of your toes whilst also protecting the nose of the shoe. Available in one color version: red, black & gray (for a different color combination see SX5). 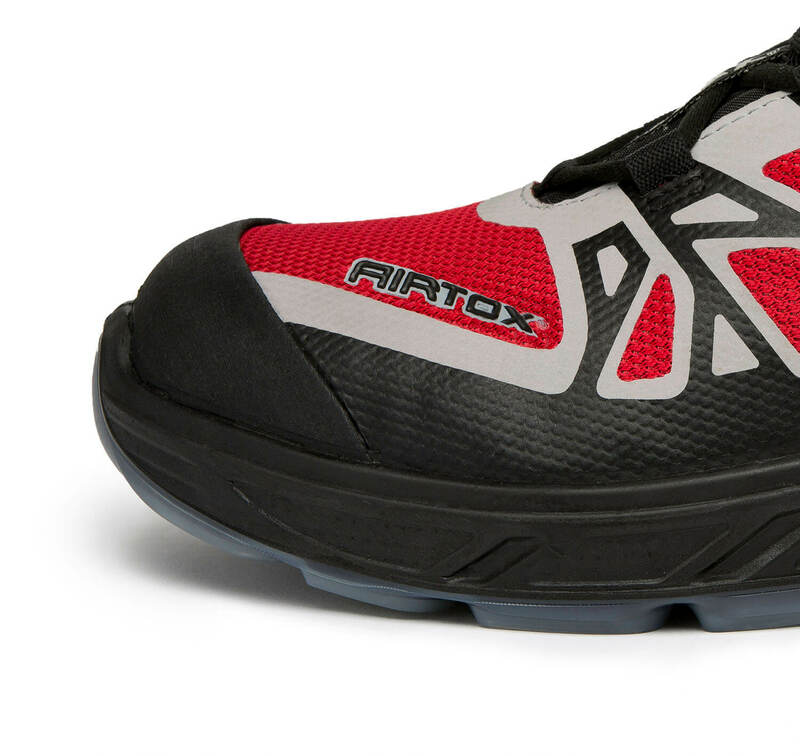 If you want to keep the great properties of AIRTOX shoes for long time, look at a few tips in our footwear care that you can find in FAQ.